Joe I Just Met: What do you do for a living? Susan Rains: Interior Design for Aging in Place. Susan: I'm an Interior Designer who helps people create homes that increase their health and well being while celebrating what makes them happy. Joe I Just Met: Oh that's great, do you have a specialty? Susan: I do, I specialize in the needs of people 50 plus who want to make their homes easy to live in, comfortable, and safe. It's called aging in place. Joe Just Met:: Oh yeah, grab bars. Sure, grab bars are helpful but they're the tip of the iceberg and not the most important thing when making your home more accommodating to your changing needs. Don't get me wrong grab bars are great but did you know that your stairs are far more important for safely aging in place? Here's why I think that is. Most falls happen during our everyday activities, and we use the stairs far more often than we use the shower or bathtub. Despite all the attention bathrooms get, most fall occur on the stairs, ramps, landings, and floors. According to the National Floor Safety Institute falls are the leading cause of injury that results in a visit to the emergency room in the US. This is in part due to the natural aging process that changes our eyes and often changes how we walk. Our stairs need to be paid considerable attention. We are all likely to experience changes to our eyes as we get older. It varies from person to person, but I can already attest to the difference between my husband and me. I need to turn turn on more lights to complete a task than my husband does. However, he can clean the kitchen in what looks to me like incredibly dim light. The dim light issue happens because our pupils become smaller and more fixed in size as we get older. This makes them slower to respond to changing light levels and less able to discern things in low light. LIGHTING YOUR STAIRS is really important. My favorite lights are the sensor type that turn on automatically when you get close. If you don’t install senor lights, have on-off switches at the top and bottom of the stairs to make life easier and use a minimum 60-watt bulb. BEAUTIFULLY LIT STAIRS. IDEALLY I'D ADD ANOTHER RAILING ON THE WALL. Another reason to pay particular attention to your stairs is increased difficulty with seeing the delineation between two things or the contrast between two colors. This is due to the lenses of our eyes becoming a bit yellowed, less elastic and less dense. My stairs are all the same color wood, and I can see the separation between tread and riser for now. However, the separation is subtle. I'll need to add something to the tread or paint the riser so I can see the difference clearly. If you have the same issue, you can create contrast by using non-skip tape or rubber stair treads. CONTRASTING COLORS are crucial to making sure you can delineating the riser and the tread. A GOOD EXAMPLE OF CONTRAST BETWEEN RISER AND TREAD. For a long time, I was obsessed with the idea of installing a beautiful patterned carpet on our stairs. I'm glad we held off because I've changed my mind in light of my education on aging in place. I've worn glasses since I was 17 and I fully expect my vision to get worse as I go along. If I had gotten the beautiful carpet on my stairs it surely would have confused my eyes in the future. Feeling dizzy is good enough reason to skip the pretty pattern, but if I also experience yellowing of my eyes and my color contrast is compromised the pattern could even start to hide the steps edges, making it look like the step had ended, but it hasn't. Not good. WHEN AGING IN PLACE SKIP PATTERN CARPETING, there are so many good reasons why. BAD IDEA FOR STAIR CARPETING. I'M DIZZY JUST LOOKING AT THIS PICTURE. I'll end this list with one that might seem a little obvious, but it has to be said, non-slip, non-glare stairs are a must. When I'm wearing socks, my wood stairs can be a bit slippery. Not only is the wood a potential problem but because the cornea of our eyes become thicker, flatter and less smooth, it causes light to be scattered and make our eyes sensitive to glare. REMEDY SLIPPERY OR GLARE RIDDEN STAIRS with the installation of a new anti-slip, anti-glare material like vinyl or linoleum. 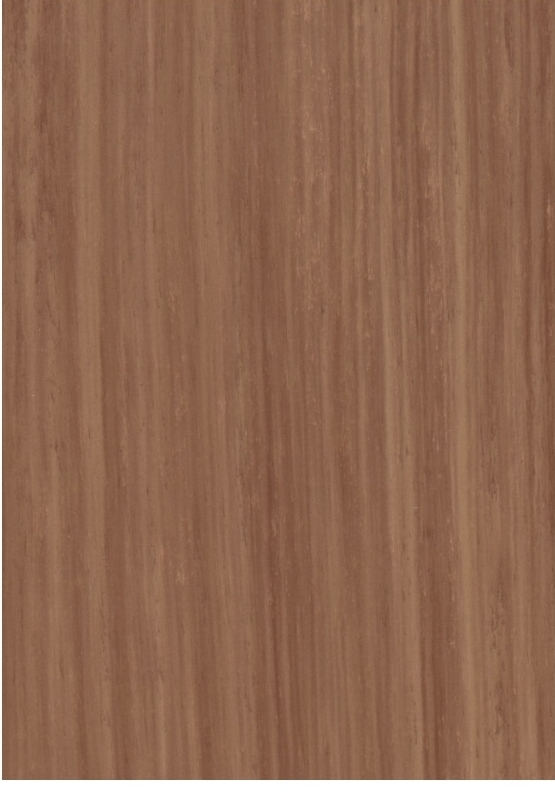 Vinyl is plastic and not eco-friendly or you could choose Linoleum which is made from linseed oil and is eco-friendly. Both come in a variety of colors, faux wood, and faux stone. 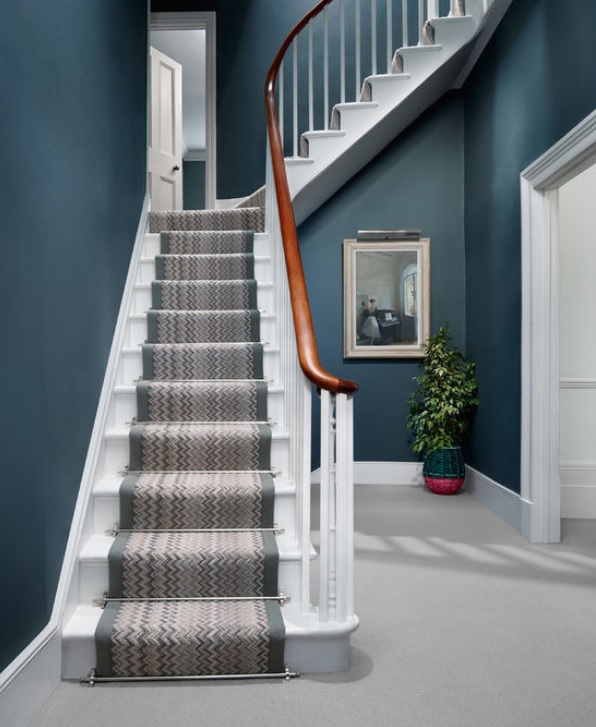 If you want to keep your non-carpeted stairs as is; you can always coat them in a skid-resistant treatment. Also, please remove any rugs from the top or bottom of the stairs. When someone asks me what I do for a living and reply's by mentioning grab bars, for good conversation sake, I refrain from launching into all the reasons why they're not priority number one for aging in place. I hope this has been helpful when your considering what you need to do in your home to stay safe and comfortable. It's not just an issue for adults. Making sure your stairs are safe is good for everyone and that's why I love aging in place design elements. If you have any questions about aging in place or otherwise, pop them into the comments below. Please share this with everyone you think might find it valuable.